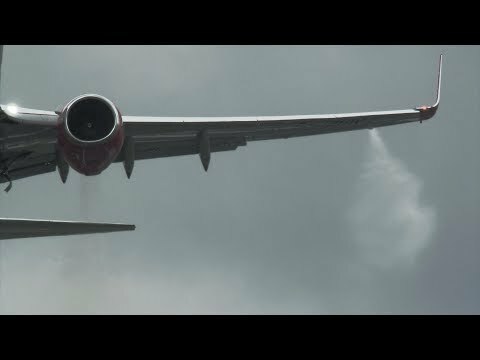 Does fuel leaking from a plane's wing pose a risk? real-world Does fuel leaking from a plane's wing pose a risk? This video asks a question. It does not attempt to answer it. The question specifically concerns leakage from the surge tanks, not the main tanks. The only aircraft type shown is the Boeing 737-800 (NOT the MAX variety), as I have no useful shots of any other type trailing fuel. Clearly, the occasional spurt of fuel through the surge tank duct ('NACA vent scoop') is expected, and it is equipped with a flame arrestor to handle unwanted consequences. However, as seen here, fuel can, very rarely, leak out through what appears to be the edge of the access panel holding the duct - presumably due to a failing seal. For the record, I sent a copy of the clip from about 61 to 93 seconds to the airline concerned.